You may not think too much about your entryway. However, it holds great importance as it’s your last stop before taking on the day and the first thing you see when you get home later on. There are a vast amount of entryway ideas out there to help you create something beautiful and welcoming. Your entryway is an introduction into your home and, depending on how it’s set up, it can either help or hurt how you and your guests view your home. Although it’s often overlooked, redesigning your entryway can add some great flavor to your home to impress your guests and, more importantly, you. One of the sure fire ways to enhance your entryway is to replace your front door. A new entry door will immediately bump up your curb appeal and help guests feel instantly welcomed. You can customize your entry door to perfectly match your home with decorative glass and hardware options. Steel and fiberglass entry doors offer the best in energy efficiency, in addition to great looks. 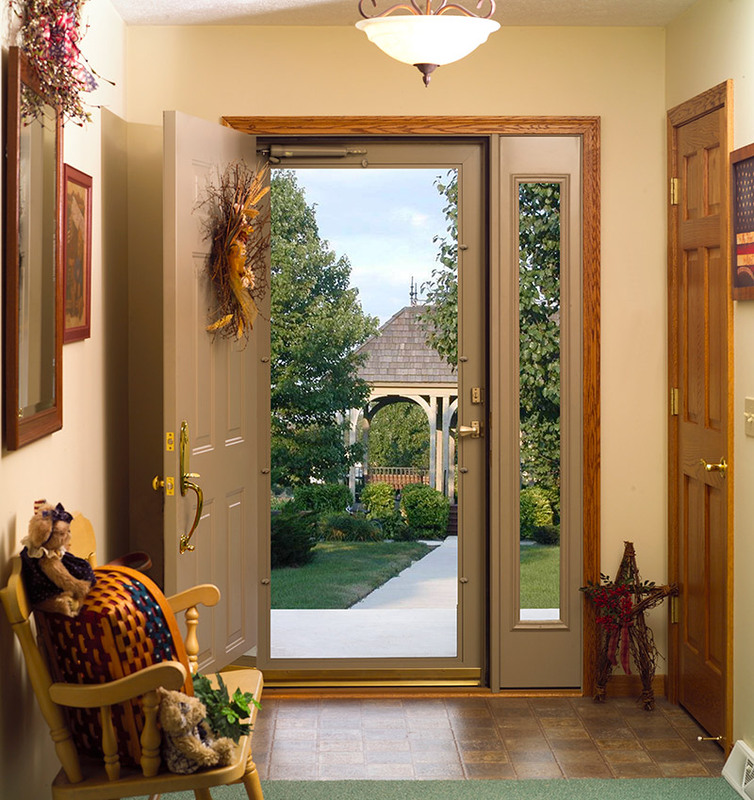 Living in Chicago, it’s imperative to have an entry door that can make it through the harsh seasons. A front door from Feldco will offer your home the absolute best in beauty, energy efficiency, durability and affordability. If you’re not ready to make the jump for a new entry door, then you should consider a new storm door. Storm doors, much like the entryways themselves, often go overlooked but they have many great benefits. Along with protecting your front door, storm doors are a relatively inexpensive way to add a fresh look to your entryway. 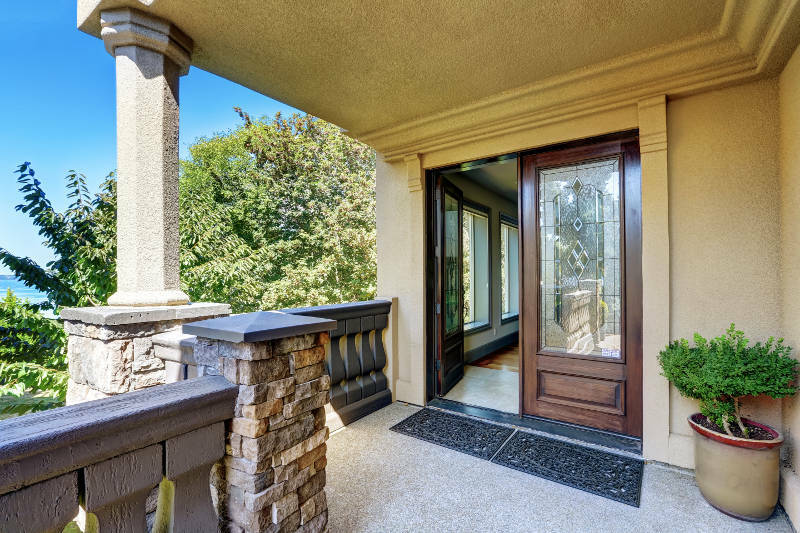 Available in many different colors and styles with multiple screen options, you can create a storm door that’ll surely impress whoever walks up to your door. Another option to enhance your entryway via the front door is to upgrade its hardware. 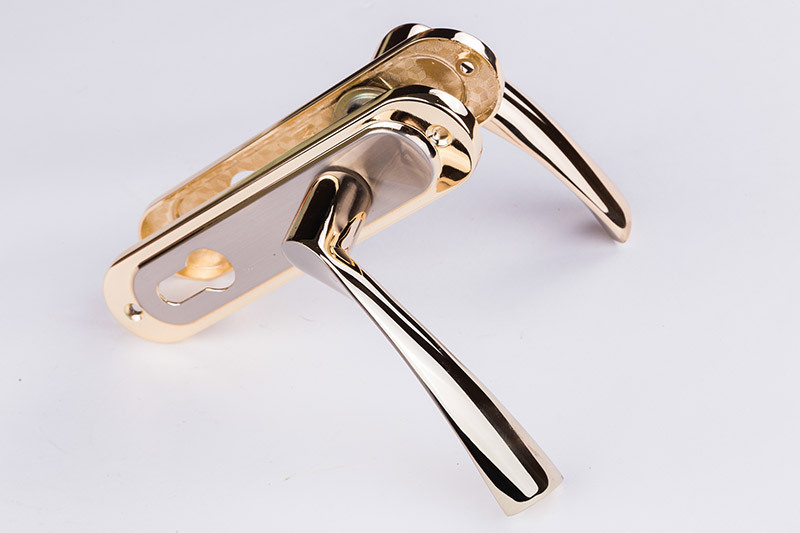 Installing new hardware adds an elegant accent to your door along with increasing security. Different deadbolts, door knobs and handlesets with different finishes can create the illusion of a new front door. 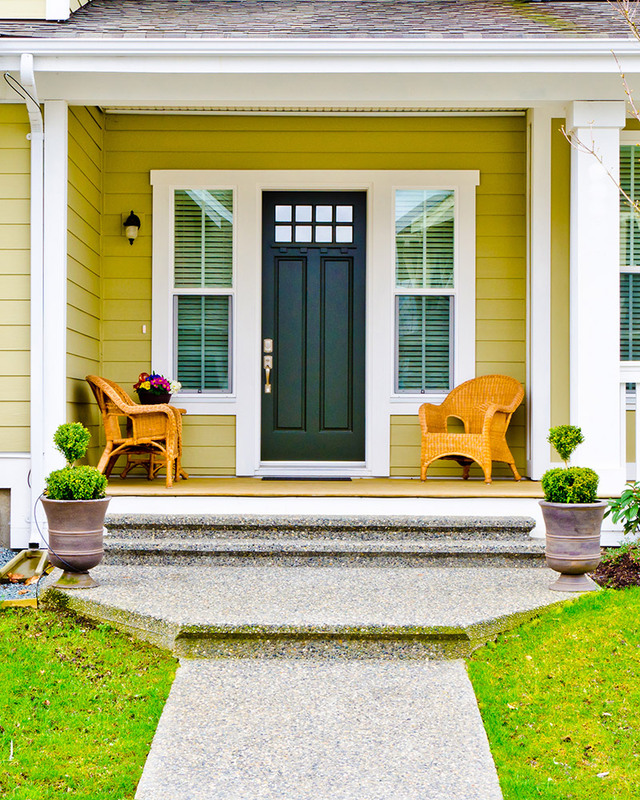 While new hardware can change or improve the look of your entryway, if your front door is having problems opening or closing, it’s time for a replacement. 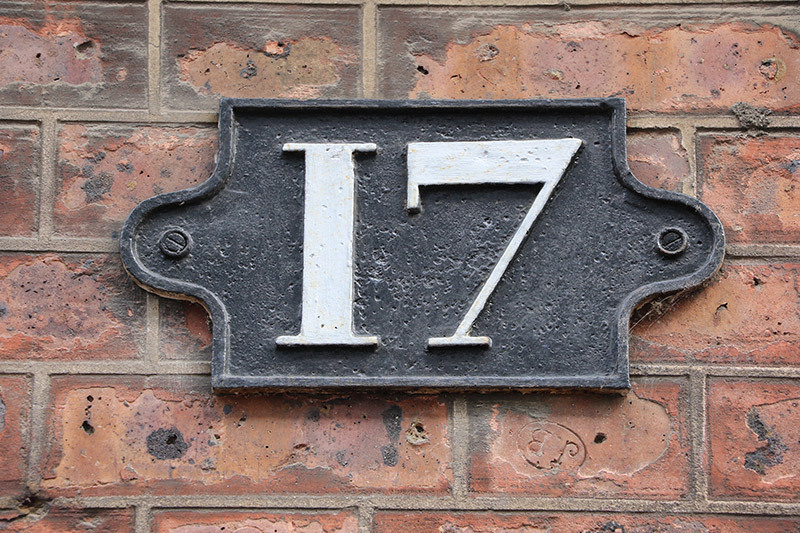 Your address is an important part of your entryway as guests and delivery people rely on these to locate your house. You can choose a classic and traditional style with simple metal numbering or you can create something unique to make your entryway stand out from the crowd. There’s nothing more uninviting and dismal than a dark or poorly lit entryway. It’s also unsafe as well. Lit entryways make it easier to access your home at night and they can help keep intruders away. 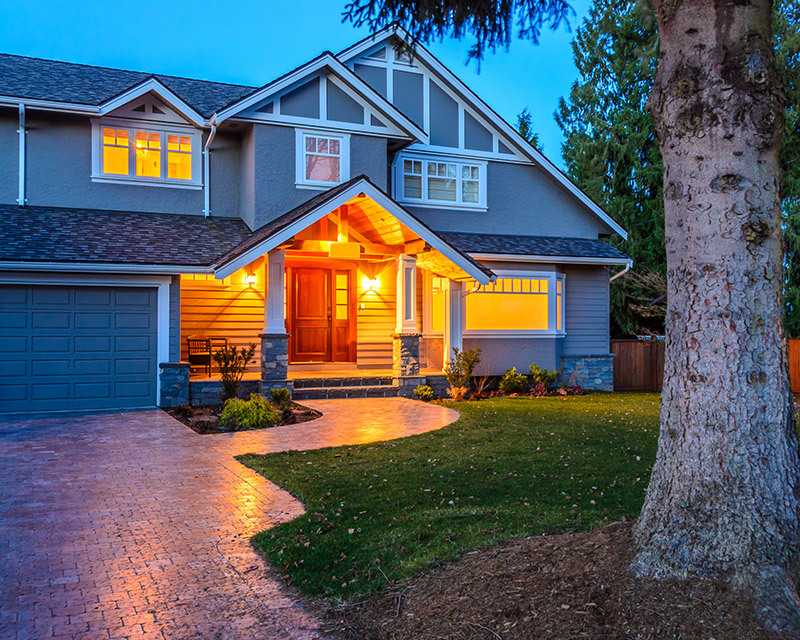 Front porch lighting arrangements come in many different shapes and sizes to help match your home’s style. You can upgrade even more to have motion detecting lights to increase security and efficiency even more. 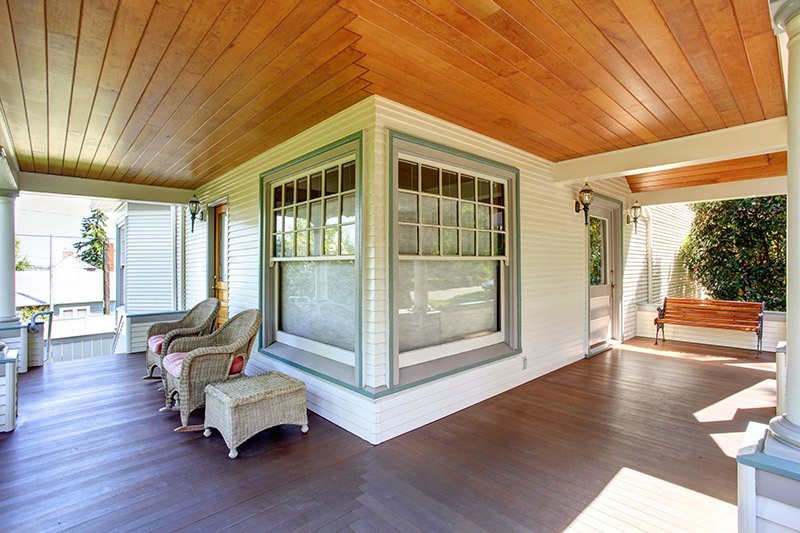 The addition of a bench on the front porch is an excellent way to give your entryway a pleasant look and feel. Whether it be a porch swing or a built-in bench, outdoor seating creates a nice place to hang out or a convenient place for delivery people to place packages. On the other side of the door, adding seating to your entryway inside your home is a wonderful idea. This seating can be used for people to take off and put on their shoes or simply for storage purposes. Or you can add a bench that acts as both seating and storage. 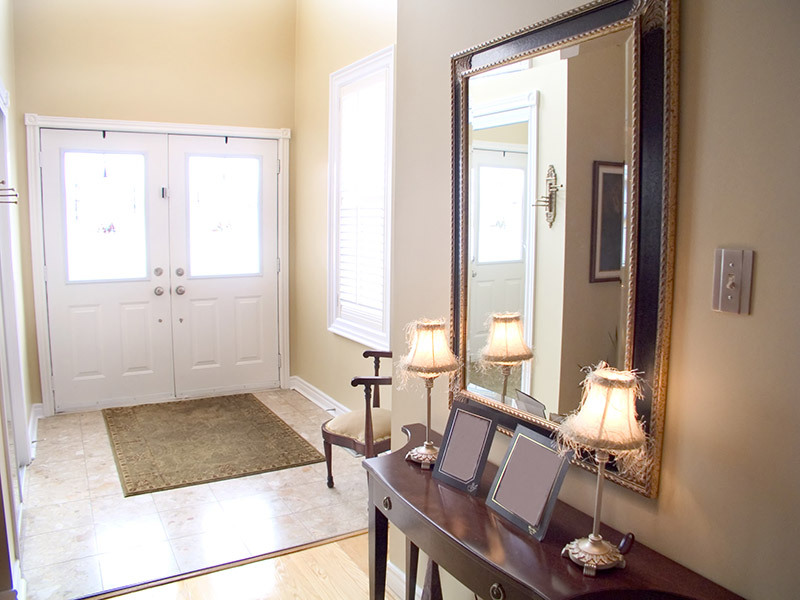 One of the best upgrades to an entryway is to get a mirror put in place. This way, you can get a final look at yourself before you leave your home. Mirrors come in a million different shapes and sizes with just as many trim options. You can add to the elegance by pairing your entryway mirror with a matching table. Updating your entryway is one of the easier home improvement projects and there are a ton of different avenues to go down. Whether you’re installing a fabulous front door or adding something as simple as new lights, there are plenty of entryway ideas out there to choose from.